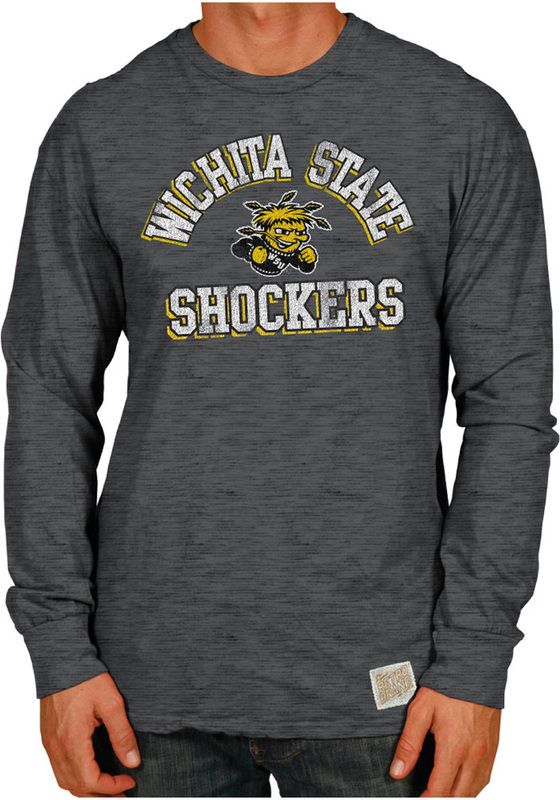 Support your Wichita State Shockers in this Grey Long Sleeve Fashion Tee! This Arch Logo Fashion T Shirt features a arched team name stacked with logo in middle. Be ready to shout "Shock 'Em" when you wear this WSU Long Sleeve Fashion T Shirt in the stadium or on the street. Just got this tee and I might wear it every day. Perfect fit, comfortable. And I love how simple the graphic is. And I love they used the Angry Jayhawk (my favorite) on the sleeve. I need to go get another one for my son. Rock Chalk!